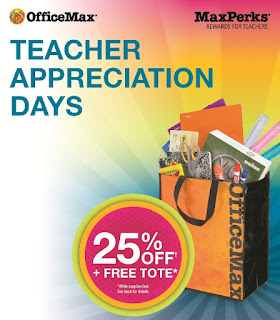 To learn more details about OfficeMax's Teacher Appreciation Days event, visit www.officemax.com/celebrateteachers. 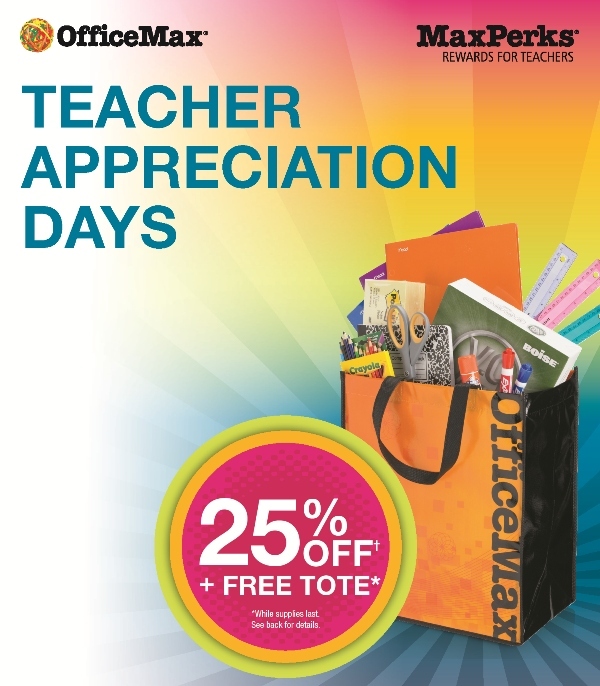 Teachers can learn more or join MaxPerks Rewards for Teachers at their local OfficeMax store or at www.officemaxperks.com. You can also find an OfficeMax store near you at www.officemax.com/storelocator/storeLocatorHome.jsp. ** See coupon for details. Some restrictions apply.